The term “best” when used to describe Instagram accounts is in a way inappropriate, as part of what makes Instagram great is its plethora of accounts that celebrate different people and their unique skills and experiences. One person’s trash is another’s treasure, or so they say. One way to objectify the question is to look at who has the most followers on Instagram. So let’s take a look at three accounts with some of the most followers, along with two of my personal favorites. Because we all want to answer that most basic question: how do I get more Instagram followers? Instagram, of course. Not what you were expecting? I totally get it. Not much to learn from this account, so let’s take a look at number 2 on the list. What is there to say about the most popular Kardashian that hasn’t already been said? Her 113 million followers puts her at the top of any Instagram list. She has inspired several makeup styles and brands, and she helped make “selfie” the word of the year. She’s consistent with her posts and branding, and she’s almost always positive in those posts. Kim Kardashian, for better or worse, is the epitome of what many think of as a self-obsessed millennial culture, one that uses social media to glam-up their lives. Kim, for the most part, offers followers a look into the fabulous and has inspired many. Also known as Dwayne “The Rock” Johnson or just Dwayne Johnson, The Rock has gained a faithful following on Instagram by posting selfie videos that encourage hard work and positivity. Throw in the tons-of-fun personality and playfulness, it’s easy to see why people love his posts. His enthusiasm is contagious. Many celebrities rank high on the Instagram followers list, but The Rock showcases fan art, inspires his followers, and shares glimpses of his personal life and workout routines. Anyone looking for how to get instagram followers should take a page from his book by sticking to things like positivity and fun. Mix up a fair amount of video and photo posts too. Banksy is a well known, but totally anonymous graffiti artist. He posts photos of his most recent works to his Instagram, many of which are quickly painted over or washed away within days. It’s a fun game for many of his followers, searching out his work before it’s gone. You may not be an artist, but Banksy’s instagram account is very popular because every post has meaning and urgency behind it. That may be the takeaway here: it isn’t about how often you post, but what you post! Instagram is still a photo-centric platform, and National Geographic has been taking stunning photos for over 130 years. It makes sense then, that they’d have a stellar following on Instagram. You don’t have to be a professional photographer to be successful. But, a picture is a story, and if you’re posting just any old photo you’re not likely to engage and grow your following. Baddie Winkle is a great example of an Instagrammer that is consistently true to her brand. If you thought Betty White was cool, consider @Baddiewinkle. Baddie is known for her eccentric outfits and style, her promotion of the legalization of marijuana, and her Instagram catchphrase — “Stealing Your Man Since 1928.” Any aspiring social media influencer should take note of the way she lives her life: people obviously still relate to honesty and truth to oneself. Be true to yourself and be consistent. 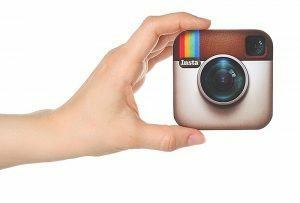 This is one of the best ways to attract a loyal audience and obtain the most followers on Instagram.